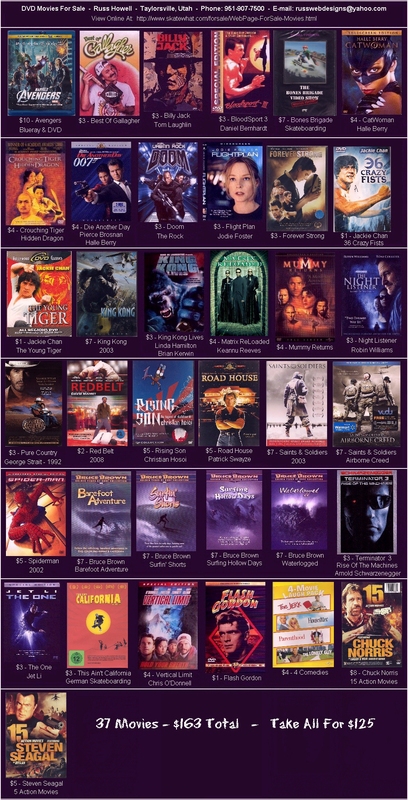 New Movies Are Constantly Being Added. Chicago cop Nico Toscani (Steven Seagal) is on to something big. Suspects collared in a drug raid are allowed to walk. And Nico himself is asked to turn in his badge. He may be off the force -- but not out of the action. 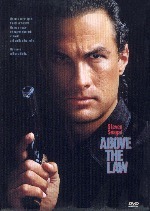 Steven Seagal makes his sensational screen debut as Nico in Above The Law, smashing his way into the top ranks of action stars as he tracks ex-CIA operatives trafficking drugs... and plotting a political assassination. He's a warrior, a mystic, a martyr, capturing the heart and soul of a generation. Embodying all these and more, Billy Jack quickly became one of the most unorthodox and magnetic movie heroes of all time. Tom Laughlin charismatically plays the title character, a half-breed Native American and ex-Green Beret returning to live in solitude on an Arizona reservation. He is drawn to the progressive Freedom School - and the idealistic woman who runs it. But when tensions flare between the students and narrow-minded local bigots, Billy Jack becomes the school's protector. Once again, violence finds him. Bloodsport III bring us back to the world of Alex Cardo (Daniel Bernhardt). 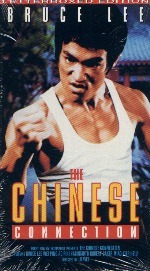 This time he must battle in a fight to end all fights - The Kumite, the most vicious warrior alive - Beast. He must not only battle for his own honor, but also avenge the death of Sun, his mentor, teacher, and spiritual "father", when Sun (James Hong) is spitefully killed by crime boss Duvalier. In order to defeat Beast, destroy Duvalier, and avenge Sun's death, Alex turns to Leung (Pat Morita), to whom he was indebted in Bloodsport II. Leung directs him to the great shaman, Makato "the Judge", to whom Alex must turn for guidance. 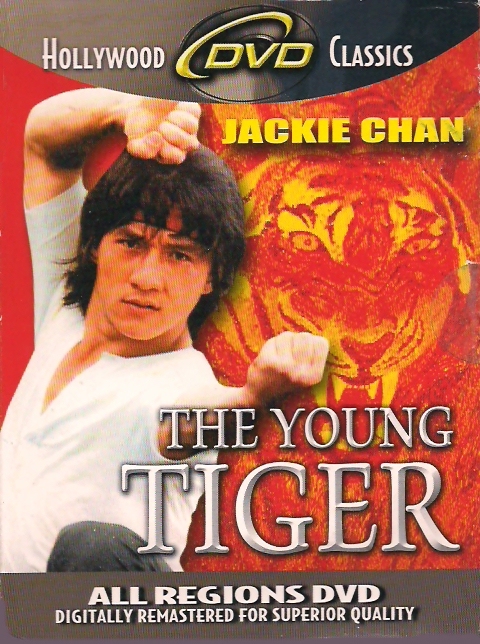 The Judge teaches him to fully channel the energy in his mind and body in order to rout the Beast in the Kumite. Patience Philips is dead -- and more alive than ever. Murdered after she learns the secret behind a cosmetic firm's anti-aging cream, she's revived and empowered by mustical felines. Now she's on the slinky prowl for adventure and revenge. 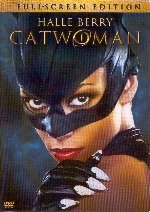 She's Catwoman. She's action, with attitude. For stylish airs, no one came close to Christian Hosoi. At his peak in the mid-80's he was the "rock star" of skating, pulling down astronomical money. Innovating crazy vertical maneuvers like the "Christ Air," Christian knew how to stoke an audience. 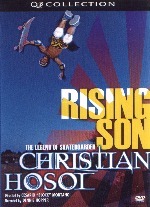 Then it all came crashing down when Hosoi plowed into a self-destructive binge, getting hooked on crystal meth and hitting rock bottom with a prison sentence for drug smuggling. Completely annihilated, Christian turned to the Bible for answers and found new strength, getting released from prison in 2004 and at 37 launching into skateboarding once again. 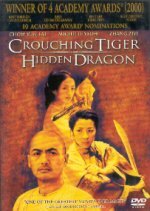 Two master warriors (Chow Yun Fat and Michelle Yeoh) are faced with their greatest challenge when the treasured Green Destiny sword is stolen. A young aristocrat prepares for an arranged marriage, but soon reveals her superior fighting talents and her deeply romantic past. As each warrior battles for justice, they come face to face with their worst enemy - and the inescapable, enduring power of love. When his top-secret mission is sabotaged, James Bond finds himself captured by the enemy, abandoned by MI6 and stripped of his 00-license. 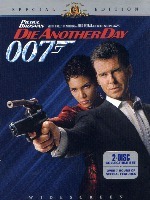 Determined to get revenge, Bond goes head-to-head with a sultry spy (Halle Berry), a frosty agent and a shadowy billionaire whose business is diamonds...but whose secret is a diabolical weapon that could bring the world to its knees! 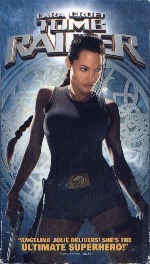 Bristling with excitement and bursting with explosive special effects, this is an adrenaline-pumping thrill-ride with stunts and nonstop action. A frantic call for help from a remote research station on Mars sends a team of mercenary Marines into action. 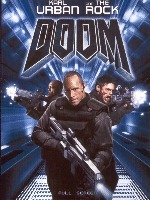 Led by the The Rock and Karl Urban, they descend into the Olduvai Research Station, where they find a legion of nightmarish creatures, lurking in the darkness, killing at will. Once there, the Marines must use an arsenal of firepower to carry out their mission: nothing gets out alive. The vintage television show from the 1950's is a classic. Steve Holland stars as the comic book hero. Flash Gordon the vintage television show from the 1950's is a classic. 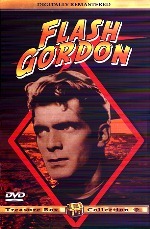 Steve Holland stars as the comic book hero Flash Gordon. 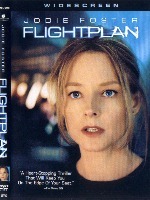 Flying at 40,000 feet in a state-of-the-art aircraft that she helped design, Kyle Pratt's (Jodie Foster) six-year old daughter Julia vanishes without a trace. Or did she? No one on the plane believes Julia was ever onboard. And now Kyle, desperate and alone, can only count on her own wits to unravel the mystery and save her daughter. Millions have willingly hid behind plastic to see his sold-out concerts. Comedy Central hails him as one of 'The Greates Stand-Ups Of All time'. Today, there's still nothing funnier - or messier - than Gallagher live! 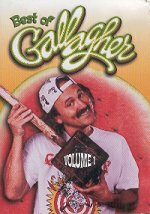 Experience all the foible-bashing, watermelon-smashing hilarity of Gallagher at his very best in these two unforgettable performances. If you thought the beast was dead, think again! 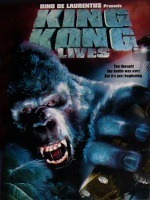 In this thrilling sequel to the original smach hit King Kong, scientists discover a way to bring the giant gorilla back to life - if only they can find a blood match. 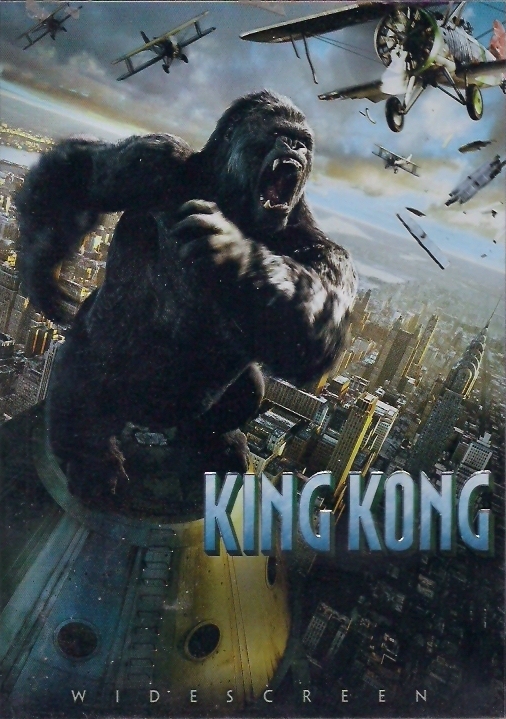 When doctors travel back to the primate's native Africa, they miraculously discover a female of Kong's size just in time! But after the successful transfer, the government learns of the pair and is determined to avoid the bloodshed from the first rampage. Now, one doctor, committed to saving the two, will battle the military in order to keep the magnificent gorillas alive! Academy Award winning Peter Jackson brings his sweeping cinematic vision to King Kong. Naomi Watts, Jack Black and Adrien Brody star in the spectacular film filled with heart-pounding action, terrifying creatures and groundbreaking special effects unlike anything you've ssen before! Get ready for breathtaking action in this thrilling epic adventure about a legendary gorilla captured on a treacherous island and brought to civilization, where he faces the ultimate fight for survival. Experience the movie that critics are hailing as a "rousing, exciting cinematic adventure!" Sentinals swarm. Smith clones. 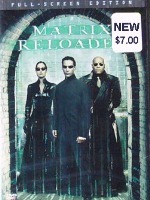 Neo flies... but perhaps not even a Chosen One gifted with astonishing new powers can stop the advance of the Machines. 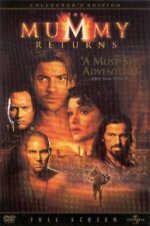 An ancient legacy or terror is unleashed when the accursed mummy, Imhotep, is resurrected - along with a force even more powerful: The Scorpion King. Now, as the fate of all mankind hangs in the balance, Rick O'Connell and his wife Evie embark on a daring, desperate race to save their son - and the world - from unspeakable evil. Academy Award winner Robin Williams is unforgettable in a riveting, critically acclaimed psychological thriller based on true events! Gabriel Noone (Williams), a celebrated writer and late-night talk show host, becomes captivated by the harrowing story of a young listener and his adoptive mother. When troubling questions arise about the boy's identity, however, Noone finds himself drawn into a widening mystery that hides a deadly secret! 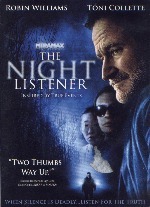 The Night Listener delivers unpredictable twists and turns that will keep you on the edge of your seat! Imagine that there are parallel universes. 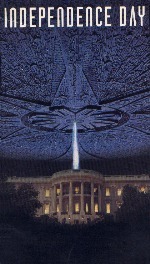 Imagine that someone has escaped one and is roaming the streets of your city. Imagine that he has come to eliminate you. Imagine that he looks exactly like you. 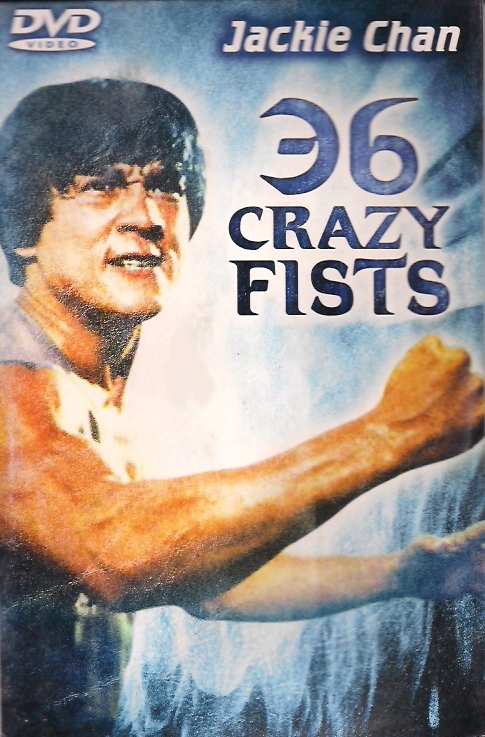 Jet Li performs in an incredible dual role as a police officer in a fight for his life and a universe-hopping assassin obsessed with terminating it. Tobey McGuire, Willem Dafoe, and Kirsten Dunst. 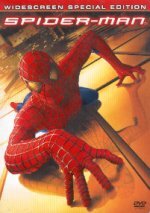 Marvel Comic Book hero Spiderman battles the Goblin. 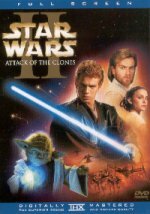 Anakin Skywalker has grown into an accomplished Jedi apprentice, and he faces his most difficult challenge yet as he must choose between his Jedi duty and forbidden love. Relive the adventure in spectacular digital clarity, including the climactic Clone War battle and Jedi Master Yoda in the ultimate lightsaber duel. 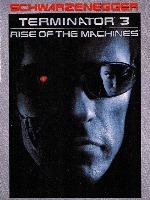 Arnold Schwarzenegger is back as a time-traveling T-101 Terminator in this smash hit. Rod Serling's classic TV exploration of the uncanny, the unknown and the unforgettable takes you beyond the deepest realms of imagination! Filled with twists, turns and compelling characters, this legendary series has remained continuously on the air since its initial run and remains as fascinating, frightening and thoroughly entertaining for viewers today. 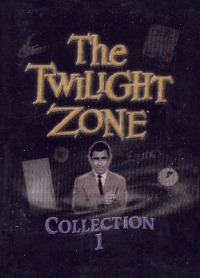 Pull up a seat and brace yourself for a fantastic yoyage into...The Twilight Zone! K2, a 28,250-foot mountain in Pakistan's Karakoram Range, is the setting for this adrenaline-pumping action adventure. 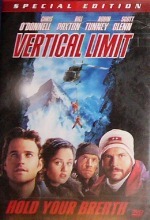 It's a race against time when a retired mountain climber (Chris O'Donnell) leads a rescue mission to save his estranged sister (Robin Tunney) and other members of her team who have become trapped on K2 after a deadly avalanche. 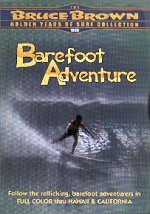 Follow the rollicking, barefoot adventures in full color thru Hawaii & California. The legends of wave-riding explore the best breaks of California, Mexico, Florida, Australia, New Zealand and, for the first time ever...Pipeline! 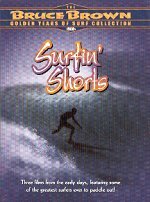 Three films from the early days, featuring some of the greatest sufers ever to paddle out! The super surfer skatebnoard team shows off the miracle of clay wheels. P Cats surfing Dana Point - before the harbor. The best waves and riders from four years of globe-spanning surf photography! 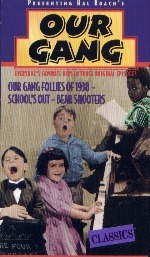 Who can forget Our Gang, that rag-tag gang of depression kids who always found a new and ingenious way to get into trouble? Hal Roach conceived of Our Gang in 1921, and named them "Roach's Rascals." When their first short was released in 1922 the name Our Gang stuck, and Hal Roach went on to produce 221 films, bringing us characters like Spanky, Buckwheat and Alfalfa, and of course Pete-the-Pup. In these three episodes, Our Gang is at their best. School's Out includes an irritated Miss Crabtree, and Our Gang Follies has some of the Gang's better musical numbers. 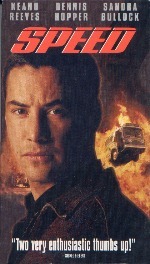 A young cop must save the passengers of a bus that has a bomb set to explode if the bus goes below 50 MPH. © 2018 Russ - Online Garage Sale.